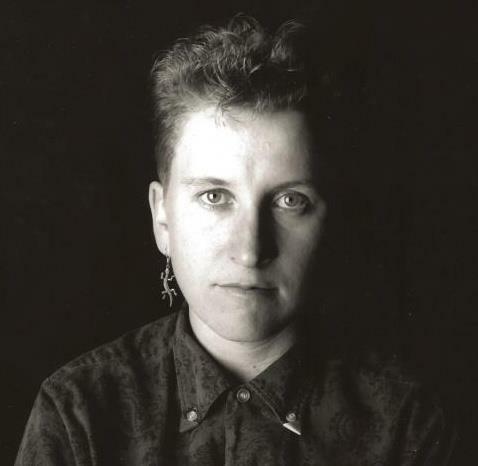 Suzie Silver (Creator and Executive Producer) has been creating queer performance and video art for over two decades. A true tomboy and thrill-seeker from day one, her youth was spent dirt-biking through deserts and canyons, going to punk shows, and dancing in the gay/lesbian discos of Tijuana and San Diego. Finding her way into the exceptional art program at UCSD in the early 1980s, she was introduced to the history of cinema, experimental film, activist media and performance art by such luminaries as Babette Mangolte, Eleanor Antin, Dee Dee Halleck and Jean-Pierre Gorin. Her well-known early videos, Freebird and A Spy emerged from her involvement with the cabaret performance art scene in Chicago in the late 80’s and early 90s. A technophile and fan of electronic arts, her later videos use digital manipulation to meld together appropriated images and music, recorded performance and animated sequences into irreverent celebrations of exoticism, ecstasy and camp. Silver has often worked closely with other artists, as a presenter, collaborator, and teacher, including ongoing collaborations with Hilary Harp and Eric Moe. Her love of science fiction and her life-long commitment to imagining alternate desires lead her to instigate the book/DVD project Strange Attractors: Investigations in Non-Humanoid Extraterrestrial Sexualities. Her most recent project, Trans-Q Television is a collaboratively created playful and provocative web-based video variety show reveling in the mutability of genders and sexualities. All of Silver’s work alludes to the capacity for desire to disrupt social boundaries and imagine new futures. Her work has exhibited and screened widely nationally and internationally at venues including: The Whitney Museum of Art, The New Museum, Documenta, ICA Boston, ICA London, Pacific Film Archives, Anthology Film Archives, London Film Festival, Seoul Film Festival, and Gay and Lesbian Film/Video Festivals all over the world including Melbourne, London, Tel Aviv, San Francisco, Chicago, NYC, Sao Paulo, Auckland and many more. Silver is Associate Professor, School of Art at Carnegie Mellon University.